Have you been tired of your skin problems and trying to figure out which product will work best for your skin? Well, all you ought to do then is to visit your dermatologist and ask them of their opinion on the Obagi Nu- Derm System and how is it different from other drug store products you may have been buying all your life. First thing first, the Obagi Nu-Derm system can be purchased only on prescription so be sure that it is a proper dermatological product that is sold by licensed physicians. You do not have to do the guessing games either, the doctor will perform certain tests on your skin and will prescribe the products to you based only on the analysis of your skin condition. You do not have to believe all the products with their false claims. Really! 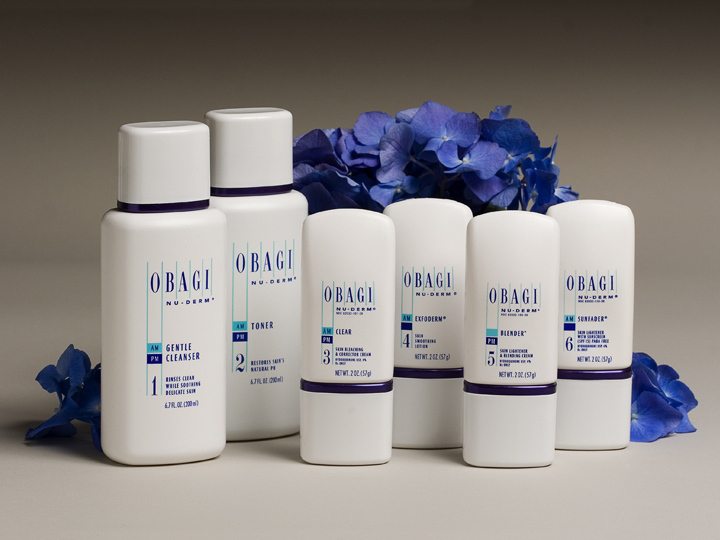 The Obagi Nu- Derm Products are clinically proven to give effective results by treating your skin at the cellular level. I am sure very few products ever would have claims like that to make. Claims, after all are huge responsibilities. A common mistake people often make by not wearing sunscreen is perhaps the biggest blunder they are making for their skin. You may be dying to get the golden beach tan but is it more important than the damage the sun exposure may be doing to your skin? It is best to see and presume your skin's future than be caught in that moment of crazy indulgence. Well, if the damage is already made, you have Obagi to do the damage control. Obagi Skin care products will not only help reduce the wrinkles your skin may have developed over time but also reduce the appearance of dark spots, fine lines and while at the same time protecting your skin from further damage. Most Obagi skincare systems come with proper sunscreen protection as well. So the years of sun damage may not have been a good idea but you do not have to keep regretting the moments you had fun in. The Obagi Nu-Derm Healthy skin protection system has a sunscreen you'd love. It will not only protect your skin from further damage but other products from the system will also reverse the previous damage you have caused to your skin. So no matter how harsh the rays from the sun are, your skin can still remain young and fresh! It is important however to follow a proper skin care regime! Skin appearance matters but little opposed to skin health. For both appearance and health, Obagi is your one top purchase.